The senior guard is joined by three other 1,000 point scorers on first team. 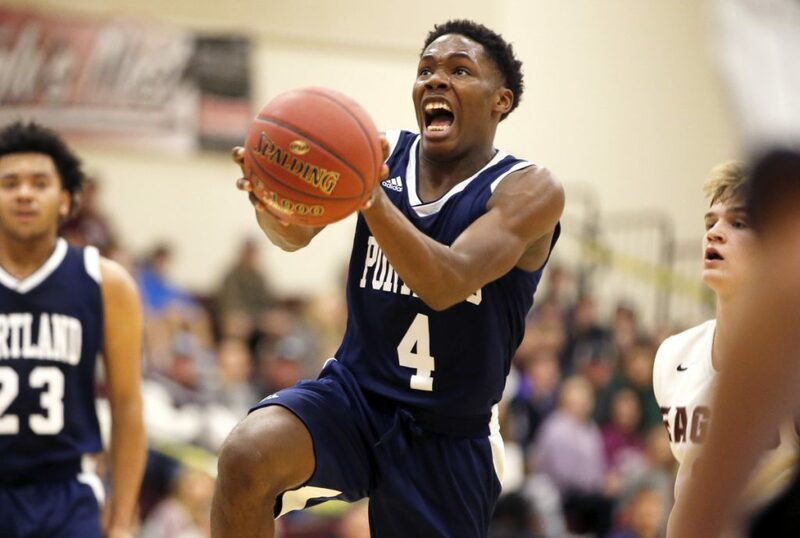 Portland High senior guard Terion Moss was named the Class AA North Boys’ Basketball Player of the Year on Wednesday. Moss, a three-year starter and 2017 All-Telegram pick, was joined on the first team by Portland senior Griffin Foley, Windham seniors Nick Curtis and Mike Gilman, Bangor junior Matt Fleming, Edward Little junior Wol Maiwan and Deering junior Ben Onek. Moss, Curtis, Gilman and Fleming each surpassed 1,000 career points this season. Scott Graffam of Oxford Hills was named the coach of the year.